Pheasants Forever and Quail Forever along with other Nebraska conservation groups watch legislative activity that impacts wildlife and conservation. LB126 has caught our attention as this bill will impact hunting access and funding for habitat and conservation. LB 126, titled: Provide for Special Landowner Deer Hunting Permits as Prescribed was introduced January 10th, 2019 by Senator Hughes. Short summary: Issue free firearm deer permits to any landowner and designated member of his or her immediate family to hunt deer during the seven days immediately preceding the firearm deer season, IF that landowner consents to make 50% or more of his farm or ranch land available for public deer hunting during the firearm deer hunting season. Important points to note. Consent from the landowner does not require specification of all lands free permits can be used on, only requiring specification of lands which will be made available for public access. Free permits cannot be counted toward certified hunters for Pittman-Robertson trust funds which means the potential for loss of funding for state programs and positions through lack of permit sales. Pheasants Forever and Quail Forever are in opposition of this bill. PF/QF is dedicated to providing the best opportunities for our Sportsmen and women in Nebraska and we believe that proposed legislation will negatively impact the quality of the Nebraska hunting experience. A week earlier season may have impacts on hunter access for pheasant and quail hunting, which falls on the second weekend of the season. This is also normally the 2nd busiest of the year for upland bird hunting. Furthermore, free hunting licenses and permits to landowners will reduce the Pittman and Robertson funding match and potential from other Federal sources. This funding is critical to provide conservation, habitat improvements, and outdoor education opportunities in Nebraska. 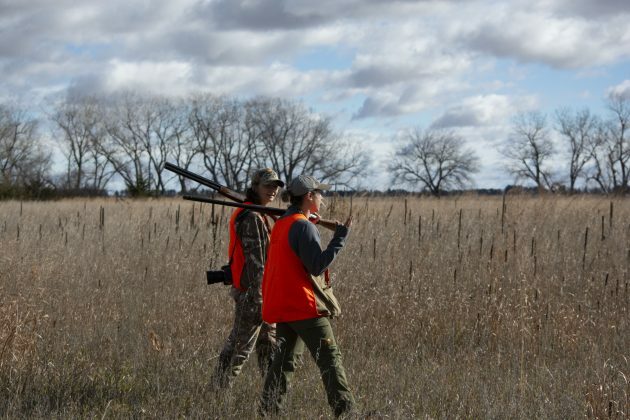 There are other ways to provide hunting access by working through current voluntary programs such as Open Fields and Waters, which Nebraska Game and Parks Commission and Pheasants Forever have implemented since 1996. This public access program currently offers over 300,000 acres of access. The concern is that LB126 doesn’t pose a solution and furthermore, will cause more detriment with the reduced funding from license sales and the federal match associated with those license purchases. For these reasons, we respectfully oppose LB126. A hearing is currently set for January 23rd, at 2:00 p.m. in room 1525. Additional information can be found on this bill at https://nebraskalegislature.gov/. Enter bill number on the right side of the page. We would appreciate your efforts to contact a committee below regarding this bill prior to the hearing. You may also request that your email be public record, but it will need to be in by 5:00 today. Also, please call a committee member at the number below by 12:00pm on Wednesday to provide them with your stance.